DIY scrubs are not only easy on the wallet, but getting crafty also allows you to control what’s inside. Since skincare products are applied topically, we find it super important to be mindful of ingredients. 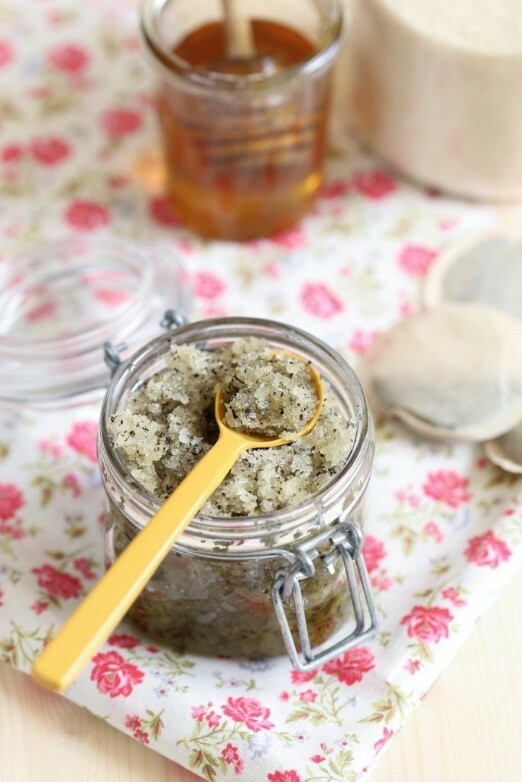 This Green Tea Sugar Scrub recipe – adapted from Kristen Marr – calls for just 5 natural ingredients: green tea leaves, brown sugar, olive oil, raw honey and lavender oil. Combine all the ingredients in a medium-sized bowl. Store the scrub in an air-tight container in a cool, dark place – like your pantry. 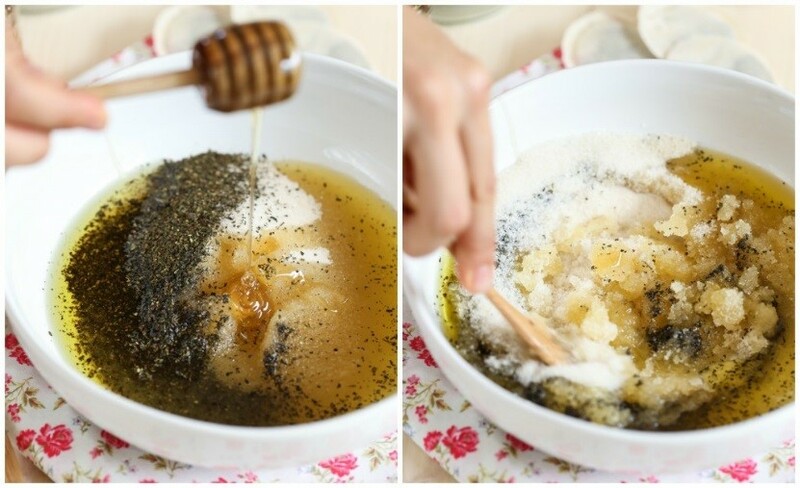 Apply a tablespoon of the scrub at a time to your hands. Gently massage body for 30 seconds. Rinse the exfoliator from the skin with water and a washcloth. Be cautious – the olive oil can make bathtub floors slippery! 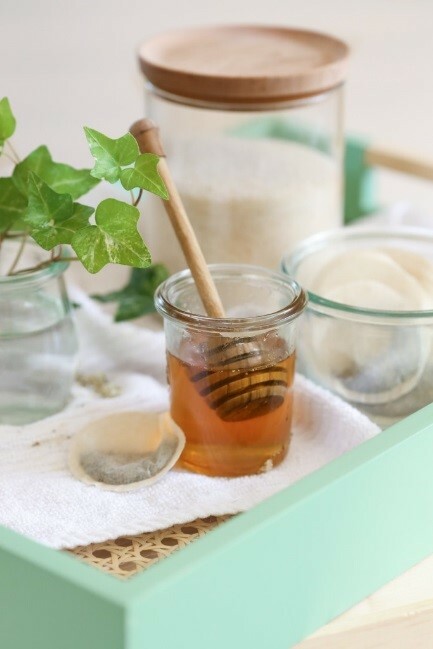 Green tea uses free-radical fighting powers to calm blemishes and redness, while brown sugar helps to gently scrub away dead skin and other impurities. The sweet bonus? Olive oil will leave your skin feeling silky smooth, without clogging pores. Tip: you’ll not only save a couple of bucks making this DIY version, but using a recycled container or Mason jar also helps eliminate waste! Now that’s a win-win. I will definitely be trying this. Love the photos to go with the post as well.. Thanks for sharing!